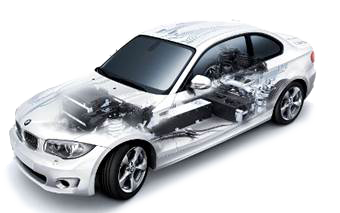 AUTOMOTIVE: IMA's is proud to be a reliable partner for many automotive system integrators around the globe. Our product portfolio of aluminum or steel components with tight tolerances are used in sub-assemblies throughout the vehicle. Appearance : Luggage cover cassettes, cargo rails, trunk tie-downs. Interior : Window shade guide rails and cassettes, door sashes. 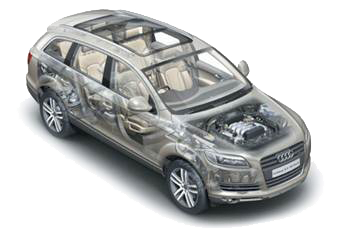 Safety : Side airbag gas guides, airbag gas flow tubes. Engine : Fuel rails, water pipes, gas flow tubes, AC pipes. With program discipline and quality diligence , IMA is uniquely positioned to service industrial global customers. Commercial vehicle, rail, and other customers who need lightweight, high quality, and tight tolerance product can rely on IMA.